BodyMind/Dynamics offers you two life-improving audio products. Both are available in dual formats: traditional audio CDs shipped to your door, or modern MP3 files available for immediate download. See the Product Options section below for details and prices. 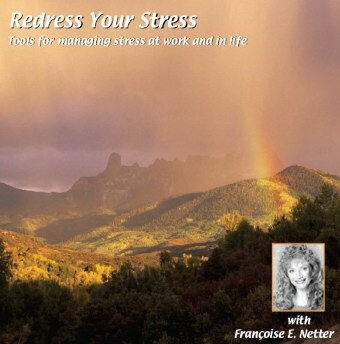 This CD offers powerful and practical tools to prevent and manage the effects of stress. Each track incorporates verbal instruction with a soothing background of healing natural sounds and music. You will learn how to relax and create wellness as well as how to transform negative states and situations into positive productivity and joy. This CD can be utilized daily and can benefit educators, business professionals, athletes, students, parents and anyone else who needs to reduce and manage the stress in their lives. Individuals who have practiced these exercises and relaxation techniques come from all walks of life and have reported the following benefits improving all areas of their lives. 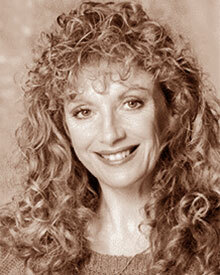 Listen to the Redress Your Stress Introduction. Click an Add to Cart button to order. Once ordered, the page automatically updates to display your shopping cart; scroll back down to edit quantities or checkout. 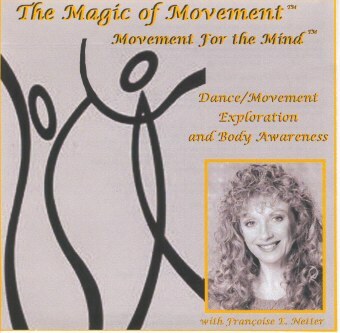 A CD which allows the individual to experience the creativity of Movement Exploration. This self-help CD will facilitate exploration of the body in a creative and powerful way through guided imagery. Individuals will learn how to ground themselves, create appropriate boundaries, how to express feelings safely and uniquely and how to connect to their body in a non-judgmental process. This CD is also useful for teachers and therapists interested in incorporating Body Awareness and Movement as a tool for creative enhancement, communication and/or therapy and can be used with children or adults. Listen to the Magic of Movement Introduction. You can also order this audio with the accompanying eBook, Movement For The Mind®: Dance That Awakens Healing, Inspiration And Wisdom. To get this money-saving combination, order the Movement For The Mind – Digital Bundle on our Books page. Here is more information to help you decide which format to order. Play digital downloads in popular MP3 players, on your computer, iPhone, iPod, etc. Digital downloads are provided as a number of MP3 audio files, plus an instructional PDF, in a 45-55 MB Zip file archive. Simply unzip and load the audio files onto your favorite devices for playback. You can also use programs like iTunes to make a CD copy for your personal use. Each digital product is $15.99 and includes a PDF describing how to use the product. (There are no additional shipping or handling charges on digital downloads.) Shortly after checkout and payment, you will receive an e-mail with a unique link to download your products. You can download your products anytime within 72 hours. See also our Product Order FAQs (Frequently Asked Questions). Play traditional CDs in conventional CD players and on your computer. Traditional CDs are shipped to your door or mailing address. Each CD is only $20.99 and includes an insert describing how to use the product. Shipping and handling is $5.00 for the first CD, and $2.00 for each additional CD. Free shipping on orders over $75.00. Please contact Body/Mind Dynamics for information about ordering large quantities.